There are many types of pressure units used depending on the country, industry and application. 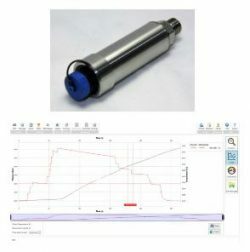 For example pascals (Pa) and inches of water (inH2O) are used for defining low air pressures, in applications such as measuring air flow through ventilation ducts on HVAC or building management systems. Also, the millibar (mbar) and inch of mercury (inHg) pressure units are units often used to express the value of barometric measurements for meteorological purposes. All pressure units are directly proportional to each other, and pressure values can be defined using whole units with a unique name (e.g. bar or kPa), combinations of force and area units (e.g. kgf/cm² or lbs/in²) or height of a column of liquid such as (e.g. mH2O or inHg). Each whole pressure unit will have a value defined in pascals such as the technical atmosphere (at) or another unit defined in pascals, such as Torr with the atmosphere (atm). Pressure units derived from force and area units will be expressed as a mass weight divided by the square of a length measurement such as pounds per square foot (psf). 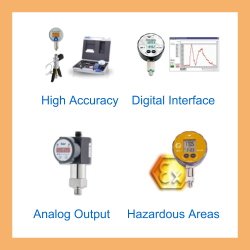 Pressure units which represent the height of a liquid are useful for measuring depth and liquid level, however due to the changing density of fluids at different temperatures, they are not recommended for precise measurements. 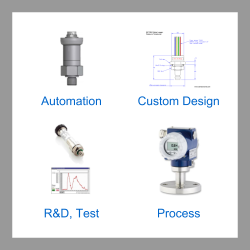 Send us your enquiry for a product associated with this Pressure Units page, and get assistance with selecting a product for your application.